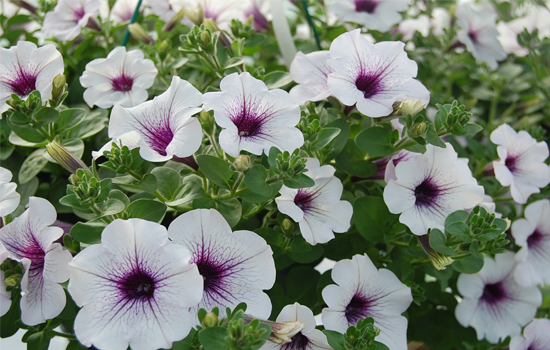 These are tried and true annuals that come in packs of 4 or 6 plants, which can be mixed and matched to create a full flat. 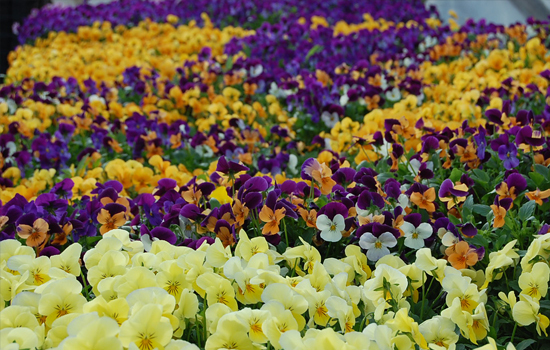 We grow over 200 varieties and thousands of flats. Mix and match as desired! Quality Gardens is proud to offer a large collection of traditional and contemporary plant stock ideal for your annual beds and containers. We offer plastic and natural coco fiber baskets in solid and mixed plant arrangements. 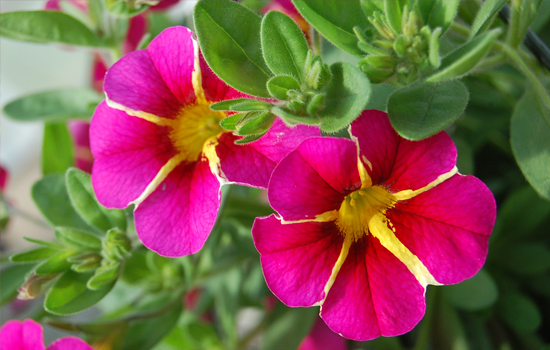 We have a robust selection of hanging plants such as Bougainvillea, Begonia, Calibrachoa, Ferns, Fuchsia, Geraniums, Mandevilla, New Guinea Impatiens, Hybrid Petunias, Portulaca, Scaevola, Streptocarpella, Torenia, Verbena, and more. For those who want quick color, you’ll find hundreds of prepared container gardens ready to go out the door. 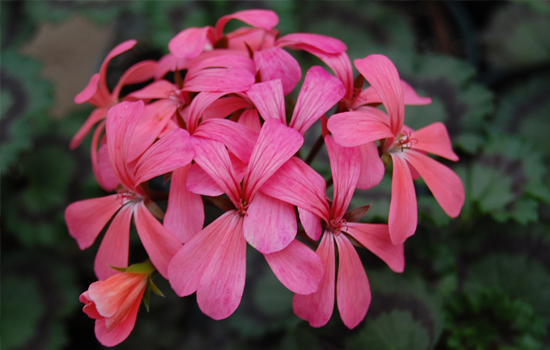 Because they are planted early, the containers are already full and are suitable as gifts. Do you have pots of your own you would like planted? Bring in your planters and we will be happy to do the work for you! Many of the plants in this collection are tropical perennials and can be kept from year to year if brought indoors for the winter: Bougainvillea, Brugmansia, Caladium, Cannas, Callas, Cordyline, Duranta, Lantana, Mandevillea, Musa (banana), Passion Flower Vine, and more! Vertical color ready to grow! We offer Lotus Vine, Sweat Pea, Hyacinth Bean, Moonflower, Morning Glory, Thunbergia, and any other vines we can get our hands on! Use these plants for quick cover on trellises, obelisks, or arbors, either alone or to complement short-blooming perennial vines.